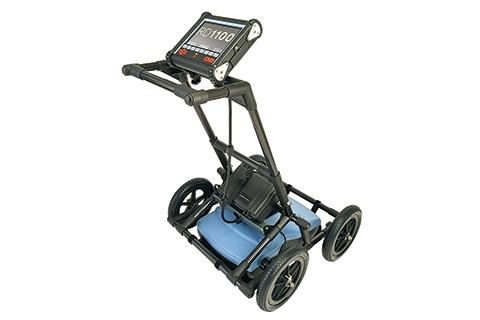 The RD1100™ Ground Penetrating Radar detects both conductive and non-conductive underground utilities using wide-band radar technology and features internal GPS, on-board Wi-Fi and a high resolution touch screen. 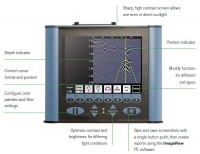 Radiodetection’s RD1100™ provides high-performance subsurface imaging for buried utilities in a rugged and competitively priced GPR system. 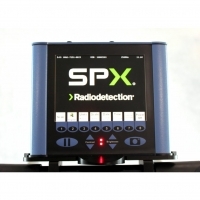 Designed for the utility industry, the RD1100 features a wide-band sensor capable of detecting plastic and ceramic utilities at depths of up to 8m / 27’ deep. Screenshots are taken with a single button press and saved to internal memory as JPGs. These can be exported later to a USB memory stick or emailed by connecting to a Wi-Fi network or by using a cell phone as a hotspot. Instant information, higher productivity!